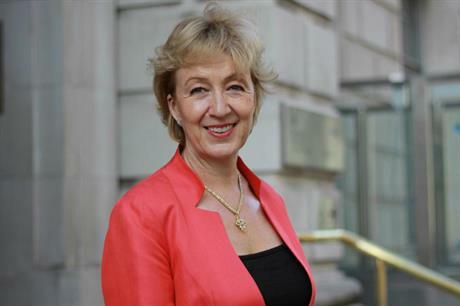 UK: Prime Minister David Cameron has appointed anti-onshore wind campaigner Andrea Leadsom as a minister to work with new energy minister Amber Rudd. Leadsom will work under new energy secretary Amber Rudd, who was appointed yesterday, replacing Lib Dem Ed Davey in the role. Leadsom replaces Matthew Hancock who had been in the position for 10 months. The move is part of the cabinet reshuffle following the Conservatives victory in last week's general election. Hancock has moved to a role in the Cabinet Office. The new energy minister's responsibilities are yet to be confirmed, but Leadsom has been a vocal critic of onshore wind during her time as an MP. She is likely to push through the Conservative's election pledge to end public subsidies for new onshore projects. The government is also set to change the law to give local authorities, rather than central government, the final say on wind planning applications. On her website, Leadsom set out her position on onshore wind sites. She said: "Whilst renewable energy has an important part to play in providing energy for our 21st century needs, we have got to stop building incredible insensitive and intrusive wind farms on top of local communities." Leadsom calls for a "proper consultation process" to allow local communities to have the final say on projects. "I am concerned that onshore wind power still needs to be proven as a valuable contribution to our energy security needs," she added. Her view on offshore wind differs, arguing it has "the potential to become Britain's largest natural energy resource".